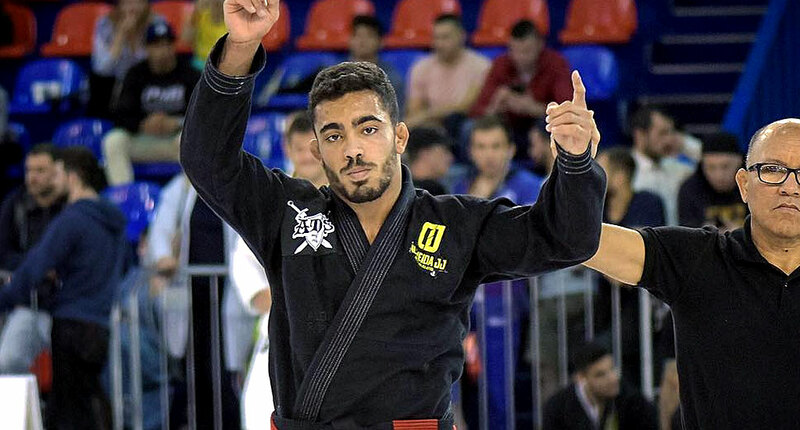 Leonardo Lara, often referenced as Leo Lara, is a Brazilian jiu jitsu black belt under Caio Almeida being also one of the top representatives of the JFC Almeida JJ São Paulo academy, one of the main affiliates of the Atos Jiu Jitsu team in Brazil. Lara made a name for himself while competing in the lower belt divisions of the sport by conquering important tournaments such as the IBJJF World, Pan American and South American titles. He would cement his status as an elite grappler immediately after earning the black belt rank, by conquering the ACBJJ world title (2018). Leonardo Lara was born on January 24, 1997 in Porecatu – state of Paraná, Brazil, though due to his parents’s occupations Lara did not settle there and relocated regularly. The family would eventually grow roots in São Paulo, in 2006. At the age of 10 Leonardo Lara became curious about jiu jitsu as most of his friends practiced this martial art. Near his home was a social project led by the Almeida brothers, which facilitated free jiu jitsu classes for local children, and it was there that Leo decided to make his first attempt at a grappling class. Diogo Almeida was Leo Lara’s first instructor at the aforementioned social project, where the youngster started his training on a 3 classes per week regimen. Lara practiced BJJ for most of the year but eventually started skipping classes, gradually leading his abandonment. In 2011 Lara bumped into his old BJJ coach (Diogo) on the street, who questioned Leonardo on his absence from the mats. Leo did not have a valid reason for his long non attendance, which helped Almeida convince him to return. This comeback would be settled at Caio Almeida‘s (Diogo’s brother) academy, who – given that Leonardo’s talent was already evident, allowed the young man to train gratuitously under a scholarship. When Lara’s parents relocated to a different part of the city, far from Almeida’s gym, coach Caio opened the doors of his family’s home to Leo, who started living there to keep the training intensity. A decision fully supported by his parents. Leonardo’s dedication to the sport made him one of the hottest prospects in the sport during the colored belts competitive seasons, and on June 2018 Lara was finally awarded his black belt rank by coach Caio Almeida.